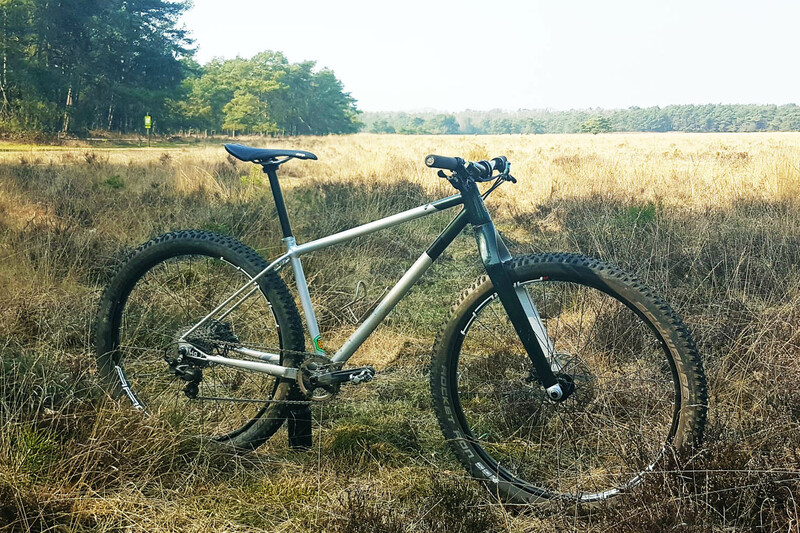 I used to prefer to ride the Dutch mountainbiketrails on a rigid bike. Keeps the routes challenging and exiting while still lots of fun. 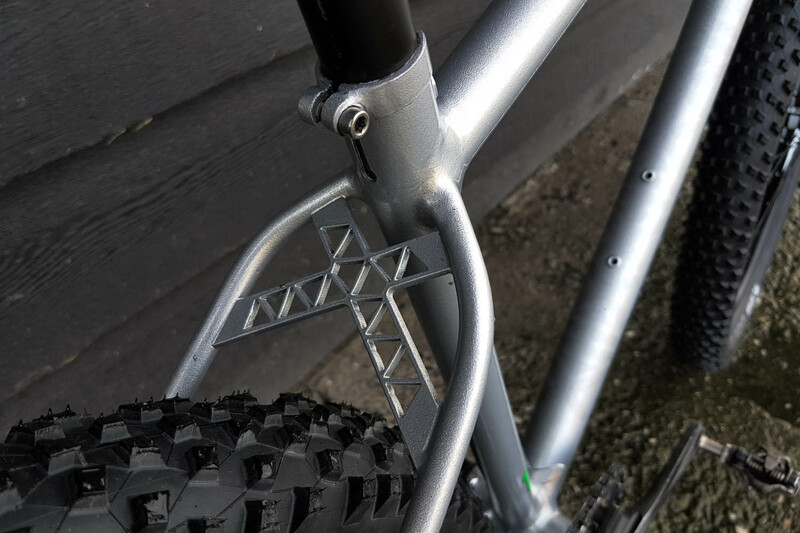 This bike is my personal testmule to see how a trailgeometry could work on a quic rigid XC bike. 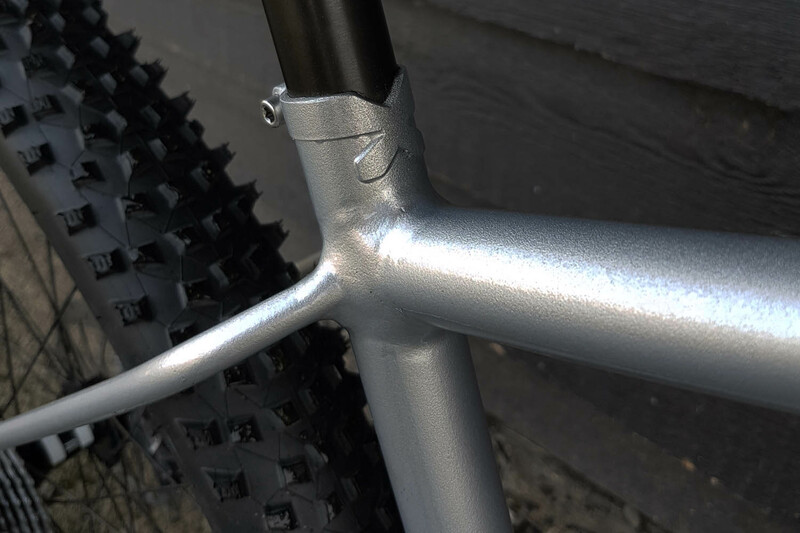 Designed around 2.6 27.5 tyres and wheels, a svelte Niner fork and short stem the reach is longish, the fork fairly slack (67degrees) and the rear compact. 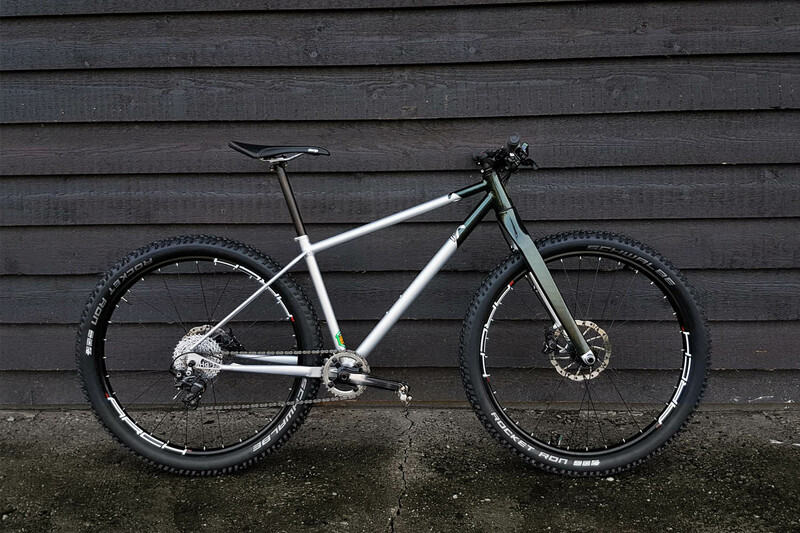 The frame is built with Reynolds 853 tubing, integrated tapered headset and custom dropouts and yoke The long thin seatstays give some relief on bad trails without feeling liuke a noodle. 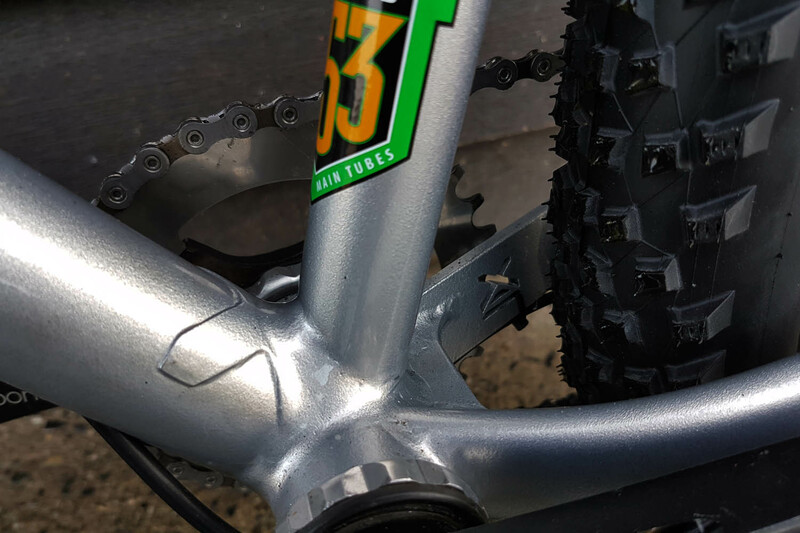 The paintjob is temporary and the plan is to chrome of copper plate the bike. After a few months of testing I really like how it turned out. The low weight makes it nice and snappy and the geometry workes as hoped. It takes a bit more steering with the body instead of the handlebar but it likes to be thrown around. On fast bumpy descends the slack fork created more controle without loosing directness. For me this was the ideal Dutch mountainbike.